How does the Pi chamber work? The pressure range is 1 to 0.1 atmospheres and the temperature span is +50 to -55 Celsius, which covers most of the troposphere. 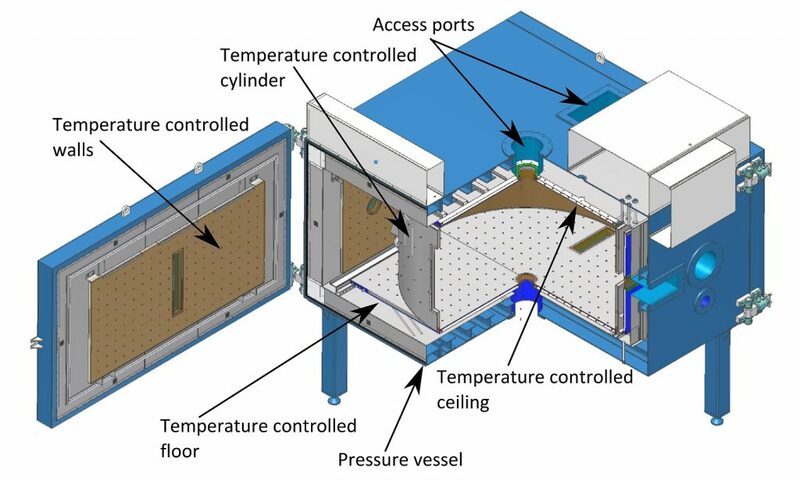 We can also control the temperature of the floor, ceiling and walls independently, which means we can set up conditions that give us Rayleigh-Benard convection. We’ve held a mixing cloud in the chamber for over 10 hours.